All Stainless Worm Drive Hose Clip choose size. 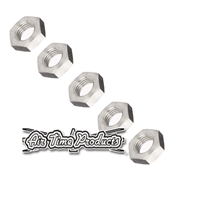 Stainless Hex Nut 22mm across flats - Price each. Water Line Solid Colour 3/8"
Non translucent solid colour waterline 3/8"
Fuel Line Hose Translucent 1/4"
Water Line Hose Translucent 3/8"
Silicone Exhaust coupler, 4 inch internal diameter x 2 1/16 inch length. Exhaust coupler, 4 inch internal diameter x 2 1/16 inch length. Factory B Pipe Yamaha Superjet Silicone Hose. Fits between the Factory Pipe exhaust and Yamaha waterbox on the Superjet to save cutting the expensive OEM pipe.